MuleFreedom PR: LADIES & GENTLEMEN... THE ALAN TYLER SHOW! 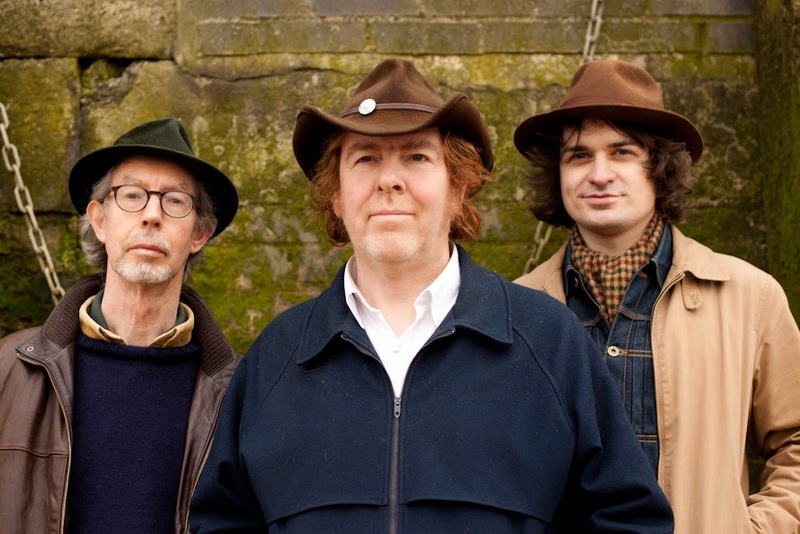 As the world awaits the next album from the reformed Rockingbirds, singer and songwriter Alan Tyler kicks back with a new acoustic trio aimed at taking his songs – and some well-chosen country covers – to the bars and folk clubs of the land. Rounded out by longtime cohort Fiddlin’ Jim Morrison plus Rockingbirds new boy Patrick Ralla on harmonies, guitar and banjo, The Alan Tyler Show sets out their stall with neat renditions of songs by many of Alan’s favourite artists – including Gram Parsons, George Jones and Townes Van Zandt – alongside some of his previously unreleased ‘River Songs’, exploring London’s country heritage; the hidden waterways and the “fields beneath” which enrich and breathe life into England’s capital city. Alan Tyler is best known for fronting Camden Town country-rockers The Rockingbirds whose trend-bucking releases for Heavenly during the early-90s anticipated the alt.country revolution alongside US contemporaries The Jayhawks and Uncle Tupelo. Touring widely, with memorable performances at Glastonbury, Reading and Cambridge Folk Festival, plus appearances on Jools Holland’s Later and Top Of The Pops, the band called it a day in November 1995. With various members going on to serve with the likes of Edwyn Collins, Manic Street Preachers, Beth Orton and Dexys, Alan released two solo albums and a further two with his band The Lost Sons Of Littlefield. He also founded the long-running Sunday afternoon club Come Down And Meet The Folks, now in its twentieth year. A reunited Rockingbirds received a standing ovation for their part in Heavenly’s 18th Birthday celebrations on London’s South Bank in 2008. They made good on their reunion with the release of the highly praised The Return Of The Rockingbirds on Loose in 2013. A new album – More Rockingbirds – is due later this year. The Alan Tyler Show is now taking bookings.